This bushland scene is part of an area adjacent to the Waikato River, downstream from Huka Falls near Taupo and close to the place where jet boats ferry day trippers to the falls. 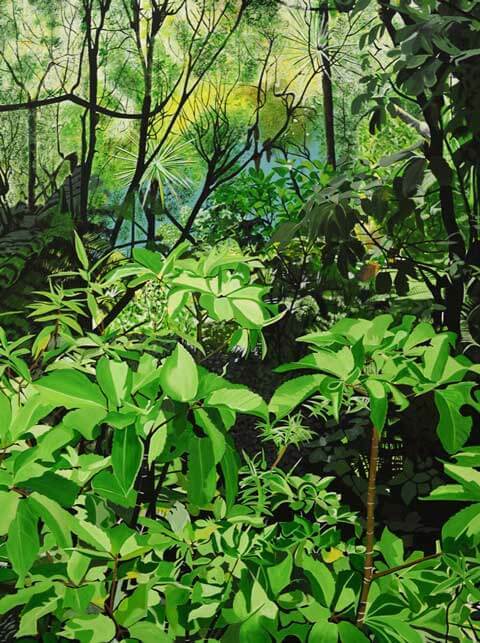 While the subject in life is a modest example of the beauty of New Zealand’s flora, delineation by the artist’s canvas brings the lushness of the foliage into focus. The river is just glimpsed through the trees.Acrylic on canvas, and painted for the artist’s first solo exhibition in 2012.